Given the constant innovation and vast volume and market size, the memory market, including DRAM and NAND, Flash is another important area from intellectual property perspective. Embedded memories such as SRAM and FRAM are of importance as well. Using advanced process analysis techniques and full chip circuit reverse engineering capabilities, combined with its expertise in this area, TechPats continues to serve this market. As the industry faces challenges with the limits of silicon base technology and lithography, insights into new emerging memory technologies that may eventually replace currently dominant DRAM and NAND is important to guide our clients. Recent forecasts project that DRAM market’s annual revenue will reach approximately $60 billion by 2020. Despite a cyclical nature of supply and demand, DRAM market has been one of the main driver for semiconductor technology and memory markets. Industry consolidation has reduced the number of DRAM suppliers to a handful of global companies. DRAM manufacturers have been in multiple generations of 10-nm class process nodes since 2016. Process innovations and architecture and circuit level improvements have been crucial to maintain the bit growth help manufacturers maintain their profitability. Given the size of the market and small number of manufacturers, this segment has been a large focus for patent licensing activity. TechPats is able to support patent licensing objectives in DRAM market by providing technical and patent expertise in this space. For instance, TechPats can efficiently provide full chip-level circuit extraction reports of DRAM devices to its clients in a cost-effective manner to enable comprehensive analysis of a specific DRAM device. In addition, TechPats can perform highly targeted circuit and process analysis tailored to a select patent portfolio. With these capabilities, in addition to process and circuit level analysis of DRAM products, TechPats can provide system-level expertise. TechPats can produce system-level analysis of DRAM module, for instance, signal tracing/probing of clock signal and timing relationship analysis, including parity bits. While the increase in adoption of smartphones initially drove NAND Flash market growth, an explosive increase of content generated and consumed by mobile devices is continuing the push to more NAND Flash storage demand, despite expected saturation in the smartphone markets. From still pictures to video content to Virtual Reality and even higher resolution videos (4K, 5K and 8K), the demand for mobile storage is expected to grow further. For instance, support for 5G wireless standard and increased memory content to process will require larger amounts of higher performance mobile DRAM (LPDDR5). Increasing adoption of NAND Flash-based SSDs (Solid State Drives) over HDDs (Hard Disk Drives) also furthers growth of NAND Flash market. NAND Flash technology has been going through several generations of 10-nm process node domain (19nm, 16nm, 14nm, etc.). In addition to traditional scaling of cell sizes, 3D NAND Flash technologies–which allow multiple stacking of NAND cell strings–have been introduced. Recent roadmaps from major NAND manufacturers suggest 256 and 512 layer 3D NAND devices may be available by 2020 or 2022. While increased adoption of solid state storage (SSD) in computing has been fueling the growth of NAND Flash market, this area, with is unique raw NAND Flash device/system/firmware/algorithm level challenge, has also seen an increased role of controllers. Addressing memory technology is no longer limited to process and circuit analysis. System level expertise including firmware extraction, disassembly, analysis of extracted firmware (assembly) codes and understanding various algorithms such as wear leveling, ECC, redundancy, etc., would be required. 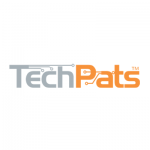 TechPats is experienced and well-positioned to address these new challenges with our memory expertise combined with growing experience and expertise in cutting edge systems and software/firmware areas. New types of memory technologies such as HBM (High Bandwidth Memory) and HMC (Hybrid Memory Cube) are being deployed as well. These memory technologies, while using different interfaces and approaches, can both provide higher bandwidth, lower power consumption and higher scalability. While the major application for HBM may be graphics, for now, new applications like artificial intelligence, cloud computing, high performance computing and networking are expected to benefit from these new memory technologies as well. For instance, TechPats analysts have worked with some of the cutting-edge HBM products used in graphics applications and gained important technical insights into this technology. HBM technology is based on innovative packaging and 3D stacking technology. TechPats is capable of analyzing die-level innovations such as TSV (Through Silicon Via), wafer bonding/stacking techniques, and interposer level packaging innovations. There are other memory technologies that may be able to replace existing memory solutions (DRAM or NAND Flash) such as FeRAM, ReRAM, and 3D XPoint memory. Storage Class Memory (SCM), which is based on a couple of different technologies (e.g., 3D XPoint memory or Z-SSD), is bridging the gap between DRAM and NAND Flash by providing faster speed than NAND Flash and less expensive than DRAM. Similar to the case of SSD, where the role of controller and algorithms are increasingly important to understand than raw characteristics of memory devices, analyzing SCM requires not only the traditional memory technology analysis expertise such as process and circuit but system level experience and capability. Using our memory expertise, and combining with other systems-, software-, and/or applications-level experience and knowledge, TechPats is able to find a custom, efficient solution to analyze any of the emerging and new technologies.